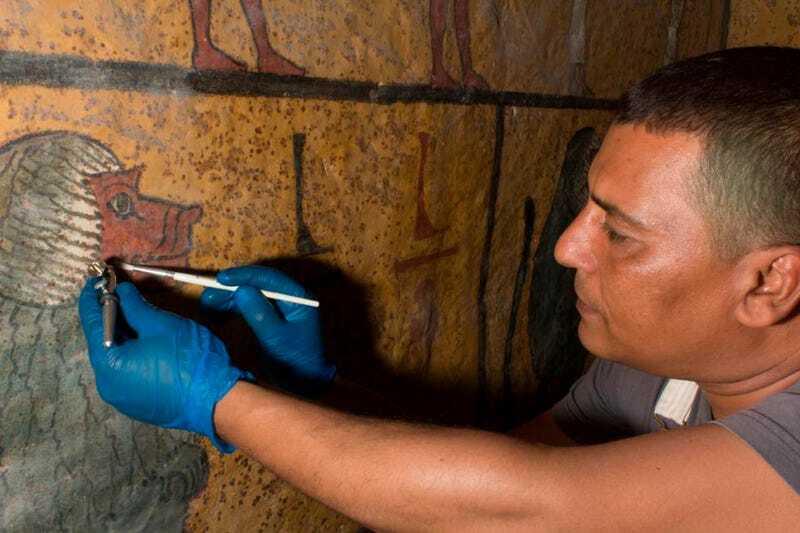 Years of steadily accumulating dust and grime had taken a toll on King Tut’s tomb, but a recently completed restoration project has revitalised the historic chamber, while making much-needed infrastructure improvements to prevent ongoing decay. 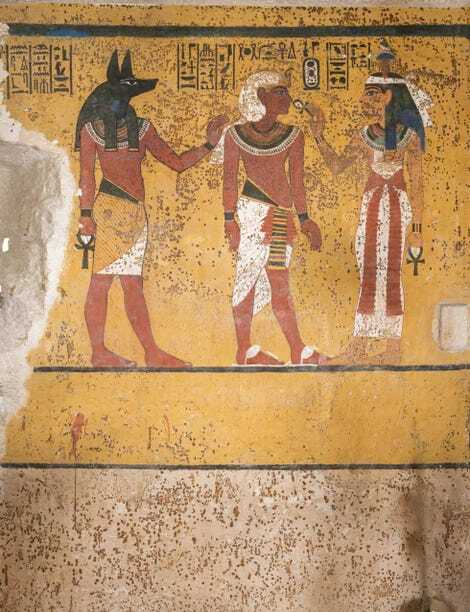 The 3,350-year-old tomb is located in the Valley of Kings near the Egyptian city of Luxor. 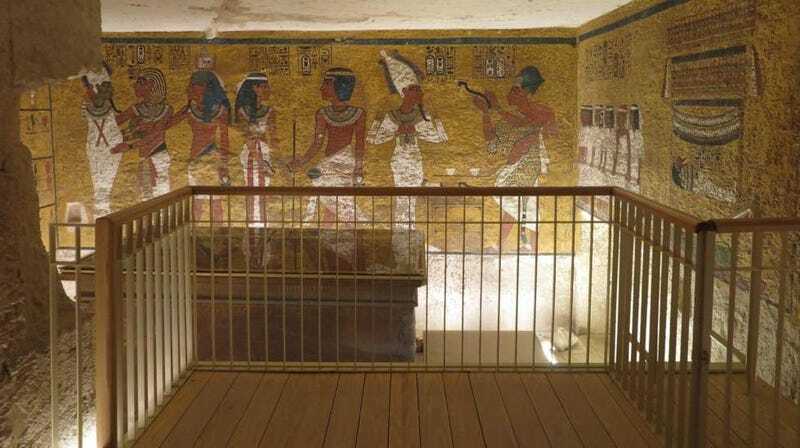 Rock-cut steps lead down some 40 feet to four chambers, of which only Tut’s burial chamber is adorned with painted walls. 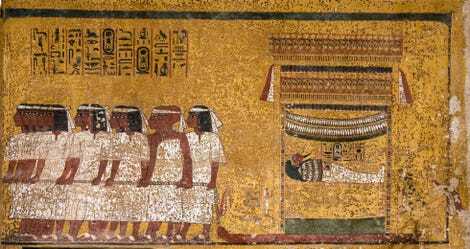 Most of the chamber’s relics were removed after its discovery in 1922, but some artefacts remain, including the quartzite sarcophagus and its granite lid, the gilded wooden coffin exterior, and the man himself, whose mummy is on display in an oxygen-free case. 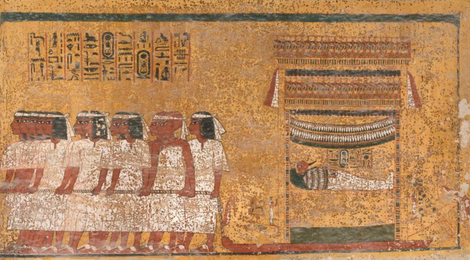 Intense interest in the tomb has caused problems, however. Dust delivered to the tomb by tourists cast a grey veil over the walls. 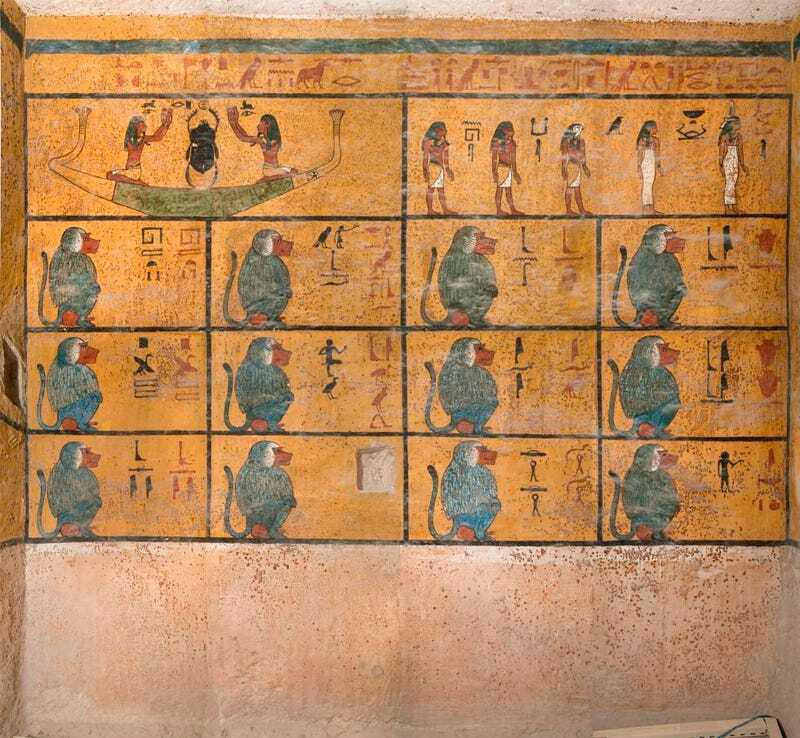 Concerns emerged that increased levels of carbon dioxide and humidity were stimulating microbial growth, including some worrisome brown splotches on the paintings. Some areas of the chamber exhibited scratch and scuff marks caused by tourists and film crews. The microclimate inside the chamber was also unpleasant for the visiting tourists. The tomb was cramped and crowded, poorly lit, and devoid of helpful signage.